Home / Archive by category "Tips"
Question: Why do pianos go out of tune? What has the greatest affect on my piano’s tuning stability? A piano is made up of thousands of individual parts. A dizzying number of components constructed of wood, metal, and cloth all combine to create one musical instrument. In one way, all acoustic pianos are equal – they require tuning. Today, the standard pitch to which pianos are tuned is A440. Here are some of the reasons your piano will slip out of tune. Humidity Swings: The biggest factor that affects a piano’s stability of tuning are swings in humidity. Traditionally, a piano’s pinblock, soundboard and bridges are all made of wood. Wood can be very susceptible to swings in humidity which cause the wood to expand and contract. Constant swelling and shrinking combined with the thousands of pounds of tension created by the strings, causes the piano to quickly slip out of tune. Maintaining Consistency: A humidity range between 40% and 50% is optimal for your acoustic piano. The best solution is to maintain a constant humidity level in your home by using a whole house or room humidification control system. We also highly recommend the use of a Dampp Chaser Piano Life Saver System installed on the instrument to help create a stable ‘microenvironment’ around and inside the piano. 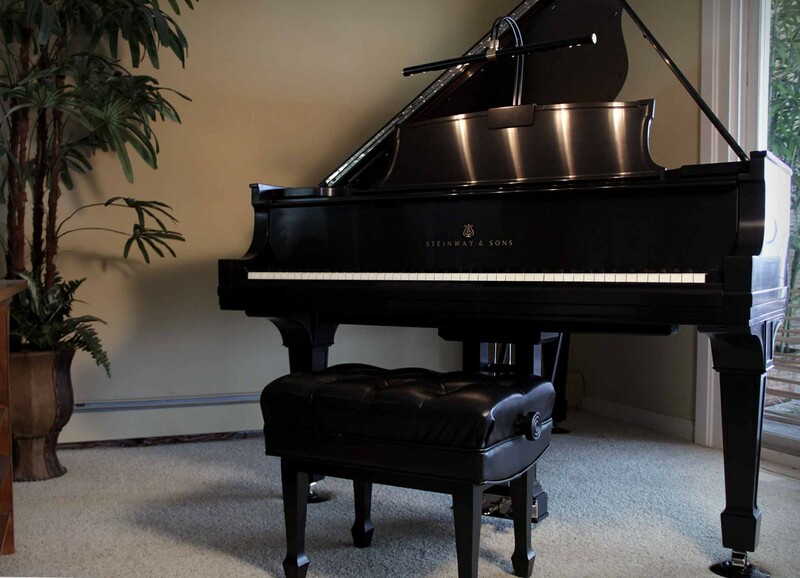 These systems are available for both upright and grand pianos. How much does a piano weigh? Does tuning equal repair work? In today’s blog post, we cover a few of the piano related questions we receive here at Chupp’s Piano Service. How much does a piano weigh? The combination of thick pieces of lumber, the heavy cast iron plate (sometimes called a harp), and numerous other components make the piano one of the heaviest instruments on the market today. Pianos vary greatly in weight depending on their type and size. 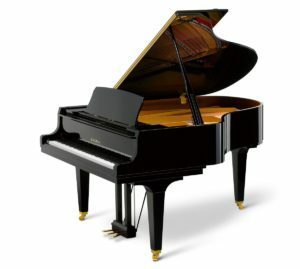 For example, a Steinway & Sons Model B which measures 6’11” in length weighs approx. 750 lbs. while smaller upright pianos such as consoles and spinets, usually weigh in the 300 to 500 lbs range. Question: My child is starting piano lessons. What kind of piano should I get for them? I found a free one on Craigslist and most of the keys still work. Could I start them on this piano until they get good enough to deserve a better one? The selection of an instrument for your budding student is an important one. Students of the piano will spend many an hour practicing scales and building up to ever increasingly difficult pieces. A link should build between the artist and their instrument. This is why it is critical to select a piano that encourages them to sit down and play. Imagine someone beginning to learn a sport, say, baseball. One wouldn’t give the budding player a stick broken off from a nearby tree and tell them; ‘learn with this, and when you get really good we’ll give you a real bat!’ It is obvious that this would not be conducive to enjoyable learning and would impede progress. One would be tempted to simply quit when placed under this handicap. Unfortunately, we see this far too often in the world of pianos. The difference between a fully functional, professional grade piano and the ‘Craigslist deals’ and cheap keyboards one often sees in us for practice is like day and night. Even budding pianists can tell the difference, even if they cannot express what exactly they are feeling. Young students are much more perceptive to tonal quality and touch than many parents think. Many of the ‘free deals’ that can be found on Craigslist (and yes, even at some piano dealers) can be much more trouble than they are worth. 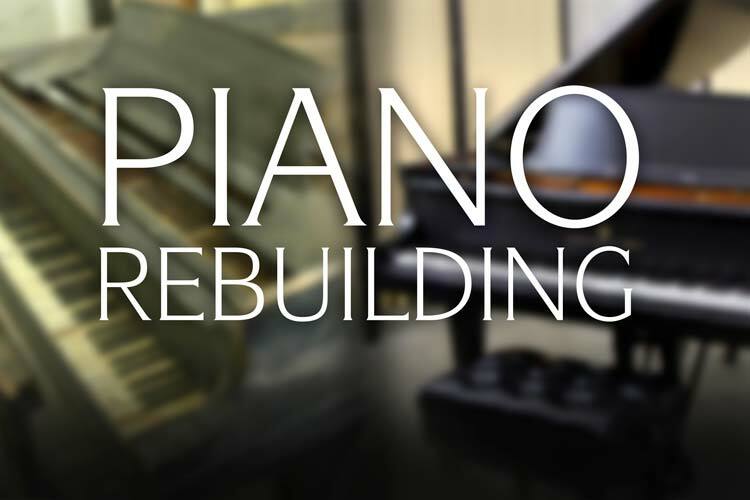 A badly built and maintained piano may require much more repair and restoration work than is initially noticeable when examining the exterior. It is always recommended that you contact a qualified piano technician prior to considering the purchase of one of these used pianos. It can be incredibly frustrating to sit down at a barely functioning piano that has been badly maintained and attempt to bring some kind of discernable melody out of it. It is maddening for the professional; just imagine how frustrating it is for a beginning student. Sadly, we see this so often. It is no wonder that many students fail to stick with piano lessons. In terms of monetary value, a durable, high-performance instrument can and will help you and your student get the very most out of piano/music lessons. A well-built, properly maintained instrument will stay in regulation and in tune saving you money in service calls. Many music teachers also have minimum requirements for the student’s practice instrument – and with good reason! Which Piano is Right for You: Yamaha Vs. Kawai? 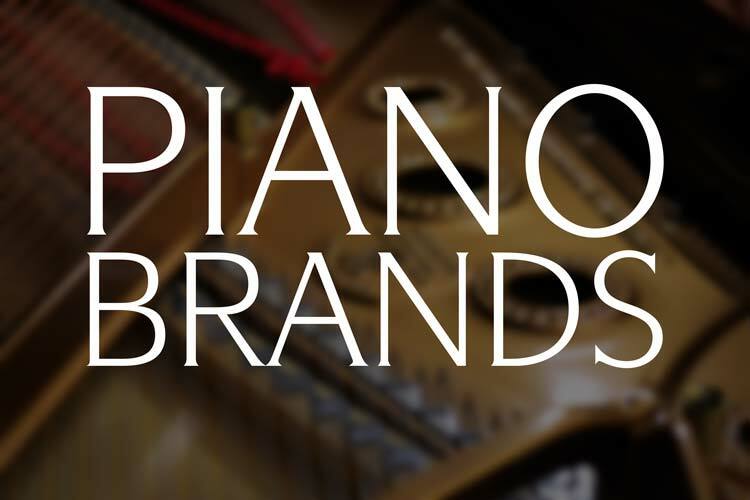 Yamaha pianos are often near the top of the list when pianists begin looking for a good piano. If you are looking at the purchase of a new Yamaha piano, the consideration of a piano manufactured by Kawai may be in your best interest. Founded in 1927 by Koichi Kawai, Kawai endured ninety years of history to become one of the leading piano makers in the world. They continue to produce high-quality pianos at a price point that is hard to beat—even for Yamaha. Kawai and Yamaha pianos are often compared due to a number of similarities. They are both based in Japan and have decades of experience in the crafting of both upright and grand pianos. Their factories are some of the most advanced in the world and they pride themselves on consistency. 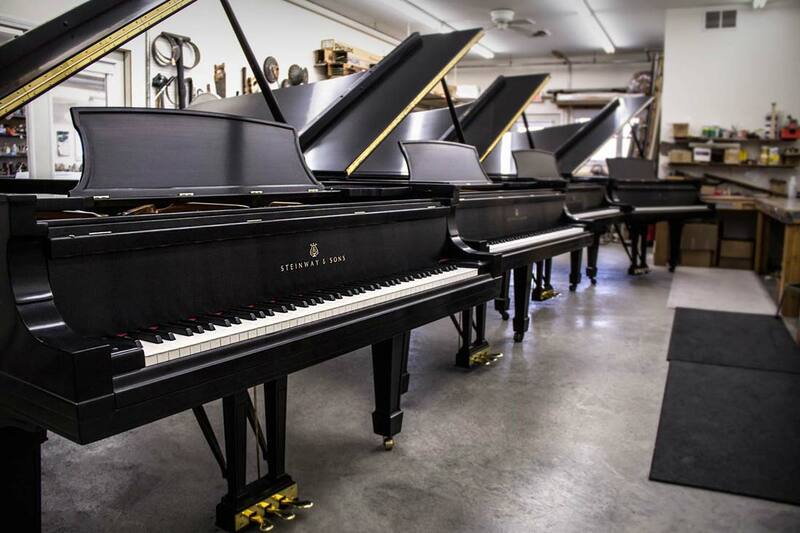 Both of the companies build an incredibly high number of pianos each year. This high production capacity combined with truly good quality has made both brands the choice of musicians, students and piano lovers around the globe. That being said, Kawai has some significant advantages over Yamaha pianos, which has allowed them to be the leader of innovation in the piano industry while maintaining competitive pricing for their high-quality pianos. So what separates Kawai pianos from Yamaha pianos? Kawai pianos, especially their grand pianos, have undergone steady and constant improvements in their design and workmanship over the years. Today, Kawai pianos come standard with their industry leading Millennium III ABS-Carbon Fiber action. Several decades ago, Kawai made the bold decision to begin the production of piano action components utilizing ABS-Styran. This change from wood was shocking to the traditional piano industry and initially was widely dismissed. The years since have proven the stability and accuracy of their new parts, which today, are widely accepted and credited by the piano industry. In fact, America’s Mason & Hamlin through their subsidiary Wessel, Nickel and Gross have recently switched to similar, ABS components with raving reviews. Currently, the new Millennium III action parts are made of ABS infused with Carbon Fiber for added strength and rigidity. These actions are utilized on both Kawai grand and upright pianos. Ads similar to this example, fill newspapers and local Craigslist listings all over the country. At first, this can sound like a deal of a lifetime. “A free vintage piano and all I need to do is pick it up and have tuned!” Unfortunately, these apparent deals can quickly turn into money pits that leave you with a lackluster, barely functioning instrument that cannot be improved without an inordinate amount of time and money. There are a few reasons that these pianos are often left in homes when they are sold and you can find free pianos abound on the internet. Below we will go over a the top reasons you should think twice before undertaking the inconvenience of acquiring a free/cheap piano. There are a number of hidden costs that might not be apparent when it comes to a free or cheap one-hundred-year-old upright or even a grand. The first is moving. Old, full-size upright pianos can weigh nearly 700 lbs. and are harder to move than a grand. Awkward in size and weight, these instruments require a qualified piano moving team to safely remove, transport and set up the piano at its new home. Asking a couple of buddies to help you move it will not suffice, and likely will cause more damage to the piano and potential injury to those attempting to move it. 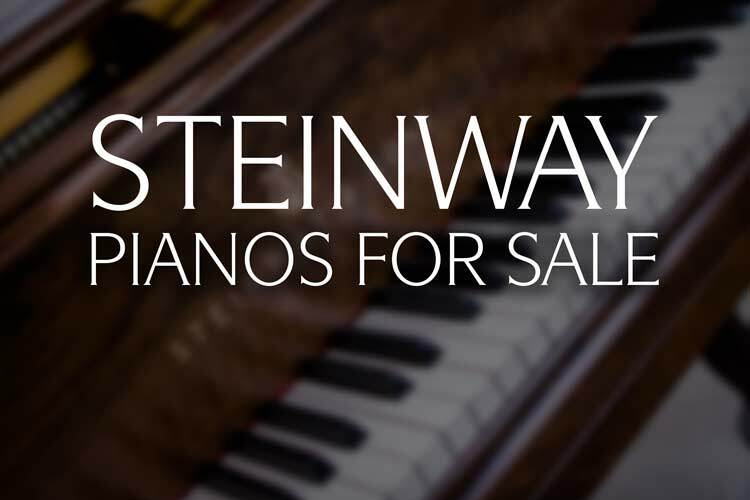 Why Buy A Restored Steinway Piano? At the end of the day, we often find that finding a second home to a restored piano is the best way to go. Restored pianos are excellent musical investments that are often superior to brand new pianos. The workmanship during the ‘golden era’ of piano manufacturing was truly standard setting. 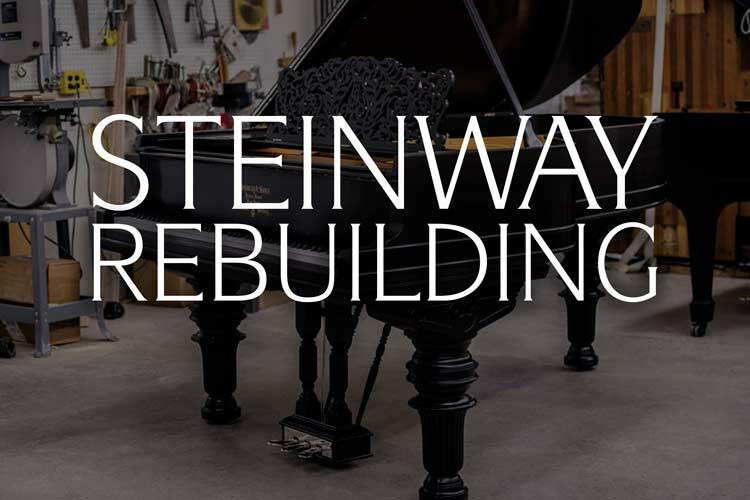 Below you’ll find the top 3 reasons considering a restored Steinway & Sons piano might be in your best interest over a new one. We have many people contacting us asking if we are interested in purchasing their piano from them. In many cases, we are! If it is a Steinway, Mason & Hamlin, Baldwin, Yamaha or other brand of comparable quality, we would be very interested in taking a look. 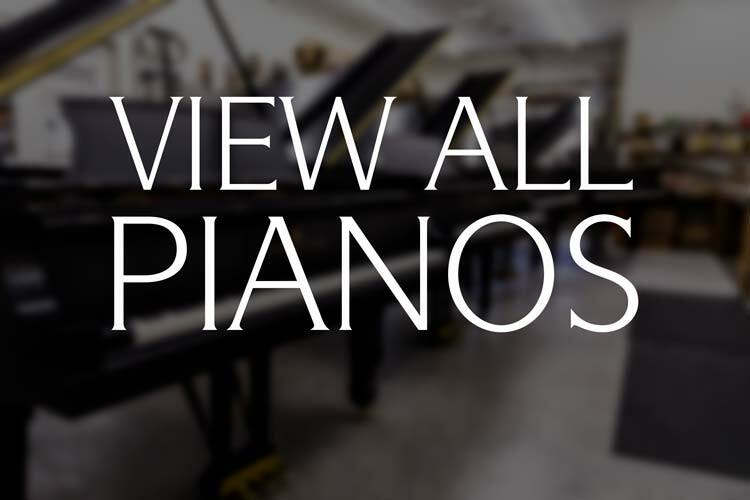 We regularly purchase pianos from across the country in varying states of condition. However with the hundreds of piano manufacturers that have existed throughout history, there are some cases where you are best attempting to sell the piano directly yourself. Here are some quick tips that might help you in that process! 1: Prep the Piano and take good photos! Have your piano tuned! Dust the piano and make sure it is looking its best. Remove anything you have sitting on your piano that will distract from the instrument. Having several family pictures sitting on the instrument might not be best for sales! Make sure there is enough light to show the piano off in an attractive way. Blurry and dark photographs don’t give the best impression, so make sure to take a bit of extra care before posting/sending photos of your for sale piano. The Steinway Model A Family | What’s the Difference? Question: “I was looking at Steinway Model A pianos and noticed that there are pianos labeled Model A-1, A-2 and A-3 and it is getting a bit confusing. What is the difference between these models of Steinway pianos? The scale design was crafted by C.F. Theodore Steinway, an innovative man credited with many of the patents and technical advances introduced by Steinway in their early days of operation. This model was fairly historic in terms of innovation and introduced the bent-rim case construction, which allowed for a better transfer of soundboard vibrations, a technique still in use today. The pin block in a grand piano is obviously an important component to both the stability of tone and structural integrity of the instrument. About 40,000 pounds of tension is put on this piece of composite wood by the piano strings. Logically, care must be taken during the manufacturing and re-manufacturing process to ensure a secure and tight fit between the pin block and the cast iron plate. Recently we have come across a number of pianos where care was NOT taken during the factory manufacturing process. We have began/completed work on a number of Young Chang grand pianos where the fit between the plate and the pin block quite frankly was almost nonexistent as you can see in the photos below. Young Chang utilizes a very fine quality pinblock, so the bad fit is rather unfortunate. Should I buy an Upright or Grand Piano? Error: Error validating access token: Session has expired on Thursday, 10-Jan-19 19:00:02 PST. The current time is Wednesday, 24-Apr-19 23:27:57 PDT.